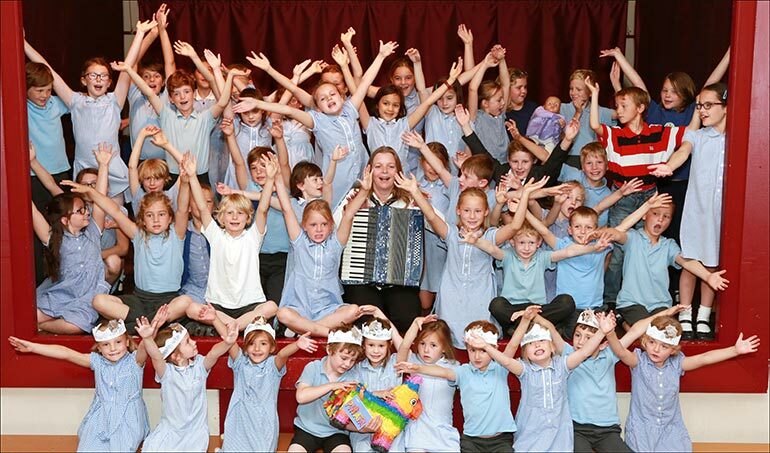 Witchampton First School recently entertained an audience with songs from around the globe. Thanks to weeks of singing lessons from specialist music teacher Liz Radford, funded by Dorset Music Service, the children hit all the right notes on the day of the performance. Acting head of school, Simone Smithson, said: “It was a truly magical concert and the children sang beautifully. “I would like to thank Liz and Dorset Music Service for putting in so much time and effort in bringing out the wonderful talent in our children. During the concert, each year group sang a different song, while costumes and dance routines helped to reflect where the music came from. Witchampton First School is located in the small village of Witchampton, situated five miles north of Wimborne, which has a population of 398 residents. It is one of seven first and middle schools in Wimborne Academy Trust (WAT) formed in 2015.